The US took Pakistan on board as a tactical partner after 9/11 to achieve its short term objectives but had listed it as one of its targets. It married up with Pakistan since it knew that without its intimate support and cooperation, the Afghan venture would become onerous and very expensive. It kept Pakistan on board to net Al-Qaeda operatives that had sneaked into FATA and Baluchistan after the invasion and occupation of Afghanistan. Resistance war put up by the Afghan Taliban and repeated failures of ISAF/ANSF on the battlefield prolonged the war and made it into longest war. 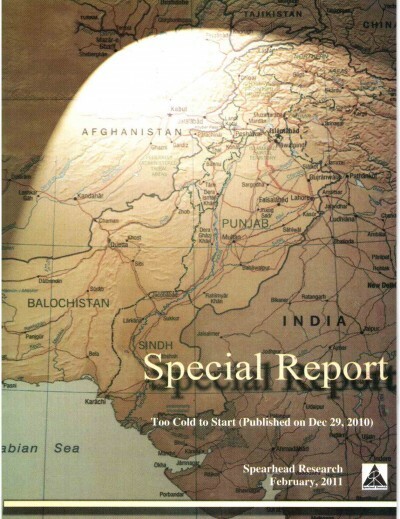 The reasons which impelled Washington to keep Pakistan attached were: It needed two supply land routes in Pakistan for ISAF troops, Shamsi airbase for drone attacks in FATA, establishment of CIA-FBI-Blackwater-RAW-MI-6 network in Pakistan to bolster insurgency in FATA, separatist movement in Baluchistan, urban terrorism in Karachi, steal the nukes, scuttle CPEC and to turn Pakistan into a vassal state of India. The US wanted to use Baluchistan as a base for changing the hardline regime in Iran. At a later stage, it wanted safe exit from Afghanistan and now wants a peace deal with Taliban. Driven by selfish needs and caught up in its self-made quagmires, the US has thus far not ditched Pakistan as it had done in 1990 but repeat of history is in the offing. The dual faced USA has been outwardly claiming to be a friend and a coalition partner of Pakistan to fight the global war on terror which it had triggered to avenge 9/11. Many are convinced that it was a false flag operation undertaken to achieve strategic and geo-economic objectives. Since Pakistan was made a frontline state to fight terrorism it took the major brunt of the war and suffered the most in terms of human casualties, economic loss and social trauma. Although the US made Pakistan a non-NATO ally, in practical terms the US in collaboration with its real strategic partners (NATO, Israel, India, UK and US installed Afghan govt) has not left any stone unturned to destabilize and dismember Pakistan. The band has used covert and overt means to achieve their objectives. Since 2006, the US not only started the drone war in FATA to supplement covert war and propaganda war, but also kept pushing Pakistan to do more against the terrorist groups, it had created and then wholly funded and equipped them to fight the security forces. CIA, MI-6, Mossad, RAW and NDS have been behind the clandestine operations and have used Afghan soil to train and launch the terrorists inside Pakistan. With one hand the US has been patting Pakistan and doling out some crumbs as reward money, and with the other it has been insulting and whipping Pakistan viciously. India is the arch rival of Pakistan and it has never reconciled to its existence as an independent state. Kashmir which is the unfinished agenda of Partition and the bone of contention is the main reason for unabated antagonism between the two neighbors and nuclearisation of this region. The Kashmiris living in open prison in Indian Occupied Kashmir (IOK), kept suffering at the hands of Indian occupying forces and patiently waited for the UN to fulfill its pledge of giving them their right of self-determination for well over four decades. Eventually, disappointed with the UN’s disinterest and Pakistan’s lackadaisical approach, and fed up of India’s oppression and broken promises, the Kashmiris drew inspiration from Islamic revolution in Iran followed by defeat of Soviet forces at the hands of Afghan Mujahideen. They decided to pick up arms in 1989 to wage an armed freedom struggle to force India to either quit or hold a plebiscite in accordance with UN resolutions. India pumped in over 7 lacs security forces in IOK to quell the insurgency and since then is battling with handful of freedom fighters but have failed to cow them down. India has been consistently building a narrative against Pakistan, projecting it as a terror abetting state from the time it cozied up with USA in 1991. Armed uprising in IOK was the handle to beat Pakistan with. It became easier for India to propagate its stance since Pakistan had fallen from the grace of USA in 1990 and had been put under sanctions and blamed for clandestinely building an Islamic bomb, which it might hand over to a radical Arab state like Libya. Israel had also joined the two in demonizing Pakistan’s nuclear program which Gen Ziaul Haq had persistently maintained that it was meant for peaceful purposes and was not weapon oriented. India’s state terrorism in IOK was hid behind the smokescreen of cross border terrorism of Jihadi groups from the operational base of Azad Jammu & Kashmir (AJK). The US lent ears to Indian complaints and at one stage put Pakistan on the watch-list of terror abetting state and also backed Indian claim that the UN resolutions on Kashmir had become outdated. When India under Vajpayee led BJP regime on the quiet carried out five nuclear tests in early May 1998 as a follow up of its first nuclear test at Pokhran in August 1974, no hue and cry was made by USA and the West. It was not censured even when Indian hawks talked of forcibly annexing AJK and taunted Pakistan to bring out its bomb in the basement if it had any. Learning that Pakistan also intended to carry out a nuclear test, Nawaz Sharif (NS) was put under intense pressure by Bill Clinton and Tony Blair and was also offered $ 5 billion if it refrained from conducting a test. Despite the pressure, Pakistan did carryout 6 tests on 27-28 May 1998 and took the heat out of the jingoism of India. Pakistan was put under added sanctions by USA. From that time on, Pakistan became a target for Indo-US-Israel nexus and the trio started to hatch plans how to disable its nuclear program. Among several motives to invade and occupy Afghanistan in end 2001 was to denuclearize Pakistan through covert operations. Pakistan was a peaceful country when 9/11 occurred. Terrorism was declared as the biggest threat to world peace and the US decided to fight global terrorism along with its coalition partners. Besides devising homeland security, new laws were framed for terrorism by USA to tackle this menace. UK, Israel and India gave their inputs in framing anti-Muslim laws. The new laws suited India and Israel the most since all freedom movements in the Muslim world came under the category of terrorism.Taking full advantage of this godsend opportunity, India engineered a false flag operation on December 13, 2001, in which 4-5 terrorists attacked Indian Parliament in Delhi. It was drummed up as another 9/11, and after blaming Pakistan without providing any proof, India carried out biggest troop, air and naval mobilization after 1971 and deployed its entire military might all along Pakistan’s border. For next ten months, both sides were in eyeball to eyeball contact and war seemed imminent. India staged this drama and the US gleefully watched it from the sidelines at a time when Pakistan had put its security at stake by accepting all the 7 demands of USA and had deployed 70, 000 troops along the western border to net runaway Al-Qaeda operatives from Afghanistan. This coercive tactic enabled India to extract Kashmir related concessions from Pakistan which helped in defusing the liberation movement in IOK. Having quietened Kashmir, India then undertook massive covert operations in FATA and Baluchistan from the Afghan soil, which was bolstered by cultural invasion, water terrorism and 4th generation war. India also started to develop Cold Start Doctrine (CSD) to offset Pakistan strategic minimum nuclear deterrence. Impetus was given to its narrative of projecting Pakistan as a terror abetting state and a nursey of terrorism. India’s efforts on multiple fronts were fully supported by the US, West and Israel. Between 2001 and 2008, all the terror attacks which took place in India were put in the basket of Kashmir focused Jihadi groups Jaish-e-Muhammad (JeM) led by Maulana Azhar Masood and Lashkar-e-Taiba (LeT) led by Hafiz Saeed and the two were linked with ISI. These two outfits were projected as more dangerous than Al-Qaeda. Concerted efforts were made to get their leaders declared as terrorists. But for China’s vetoes, India would have achieved its objective. It would then have become easier for India to build a case to declare ISI as a rogue outfit. The accusation of Pak Army and ISI linkage with Taliban, Al-Qaeda and Jihadi groups has been persistently played up since 2006. From 2010 onward, Haqqani network (HN) was added to the list. Because of apologetic stance and defensive policy of Pakistan aimed at mollifying USA and India, Pakistan has become a convenient escape goat upon which all the failures of ISAF and ANSF in Afghanistan are heaped and then Pakistan is whipped for its uncommitted sins. Pakistan has been taking the insults and whips without a whimper because of sheer weakness of its leaders. They have been dancing to the tunes of USA in the hope of keeping the US and India pleased and appeased. This disreputable practice has been at the cost of dignity and honor of Pakistan. One-sided policy of appeasement has not satisfied USA and India since its hidden objectives have not been achieved due to Herculean efforts put in by Pak security forces and the ISI. Softness of our week-kneed leaders in the face of discriminatory and unjust attitude of the US and unabated hostility of India helped India to fortify its narrative of terrorism, and caused immense anguish and pain to the people of Pakistan who have suffered the most in the US imposed war on terror. It is not understood as to why our diffident leaders were so apologetic when Pakistan acted as the frontline state to fight the US imposed war on terror, committed maximum troops, suffered the most and achieved far better results than any other country. After blaming LeT and Pakistan for the Mumbai attacks in 2008, India again blamed JeM and Pakistan for the terror attack on Pathankot airbase in early 2016 without furnishing proofs. It implies, that for 7 years no terror attack took place in India; but in this period hundreds of terror attacks occurred in Pakistan and thousands died. We knew that RAW and NDS were behind all the attacks and that has been amply proved beyond any iota of doubt after the arrest of serving naval officer Kalbushan Yadav in March 2016 and NDS officers in Baluchistan. Yadav has given copious details of how he established RAW network in Baluchistan and Karachi while using Chahbahar as a base since 2003 to destabilize the two regions. But Pakistan leadership for unexplained reasons remained mum. Why did we not build a narrative to counter Indian propaganda, particularly after Indian Home Minister and other Home Ministry senior officials of last Manmohan govt as well Maharashtra anti-terrorism chief Hemant Karkare and self-styled Hindu sage Aseemanand disclosed that all the attacks in India between 2001 and 2008 were conducted by Hindu extremist group (Abhinov Parishad) led by Lt Col Sharma Purohit? We never talked of over 100 Hindu terrorist groups in India, or of Samjhota Express tragedy in which 60 Pakistanis travelling from Delhi to Lahore were burnt to death by Abhinov terrorists in 2007. Since we remained tightlipped, India exploited our moral failing and kept propagating Mumbai episode and coercing Pakistan to take action against Hafiz Saeed running Jamaat-ud Dawa (a purely charitable and educational institute at Muredke which is open to all). So much so, that in the meeting at Ufa in 2015, Modi convinced NS that terrorism will dwarf Kashmir dispute in future talks.Criminal inaction after gathering tons of concrete evidence of involvement of RAW-NDS in FATA, Baluchistan and Karachi is incomprehensible. NS presented Kashmir case in UNGA on September 21 effectively, but for unexplainable reasons he failed to highlight terrorism of India in Baluchistan and Karachi and to mention Yadav. He skipped this vital aspect despite categorical advice of Army chief and thus gave ammunition to his detractors at home to project him as a friend of Modi. Performance of Pakistan military in comparison with the US led 35 military contingents of the world engaged in war on terror in Afghanistan since October 2001 has been far superior. It has not only decisively broken the back of all the militant groups operating under the umbrella of TTP but has also chucked out HN from North Waziristan (NW) which was the major concern of Washington. Operation Zarb-e-Azb has been across the board and none was spared. However, Washington and Kabul are still not satisfied and Pakistan is still blamed that it has not done enough. The reason is that dismantlement of HN from NW has brought no change in the security situation in Afghanistan. Rather it has worsened and Afghan Taliban are rapidly gaining ground in all parts of the country. Fierce battle is going in Kunduz and Helmand. Failing to stem the tide of Taliban, Pakistan is again being blamed for their failings and is pressed to fight Afghan Taliban who in their jaundiced view are still using Pakistan soil for carrying out attacks. Pakistan is also arm twisted to force the Taliban to agree to the peace terms of the US and become part of the Afghan govt. Ironically, the Afghan unity govt and ANA have never been censured or asked to do more. Likewise, India has never been questioned what to talk of admonished or whipped on account of its spoiling role in Afghanistan, its terrorism in Pakistan and its grave human rights violations in IOK as well as in various parts of India against minorities. India has never been pressed by Washington to abide by the UN resolutions and grant right of self-determination to the Kashmiris to avert a possible nuclear showdown. The ongoing spate of barbarities unleashed by the Indian security forces in IOK since July 8 has not raised any eyebrows in USA. All its crimes in FATA, KP, Baluchistan, Karachi and IOK are looked the other way despite Pakistan providing solid evidence of involvement of RAW in its troubled regions. Oddly, the US is knowingly disturbing the military balance in South Asia by providing latest state-of-art weaponry, nuclear fissile material, intelligence, technology and expertise to become the unchallenged hegemonic power of the region. It has now signed three military oriented deals with India thereby making the two militaries strategic partners in any future war. India is fully supported in its proxy war in Pakistan to destabilize Pakistan, make Baluchistan independent and scuttle CPEC. Pakistan on the other hand is being denied its bare minimum defence needs and is pressed to roll back its tactical nuclear capability which has successfully blunted India’s dangerous Cold Start Doctrine and its blackmailing tactics. As a consequence to unfair and twisted US policies, Pakistan which is the biggest victim of terrorism is dubbed as the epicenter of terrorism and India which is the biggest exporter of terrorism and biggest violator of human rights is projected as the victim. Modi who is the adherent of infamous RSS, was a declared terrorist from 2002 till his election as PM in June 2014. The US and UK had refused him visa during that period since he as Governor had given a free hand to vagabonds and police to kill the Muslims in Gujarat in April 2002. Rather than apologizing for that massacre, he as PM claimed that if need be he will repeat it. In his view, India’s response to Mumbai attacks was timid. At Dhaka, he proudly claimed that India had played a key role in the creation of Bangladesh. On August 15, 2016, war mongering Modi in his exuberance admitted that India is involved in Baluchistan, AJK and Gilgit-Baltistan. His lieutenants have been saying that India uses terrorism as a tool to browbeat neighbors. Modi also claims that his exterior maneuver has isolated Pakistan. India is planning to grant asylum to Baloch separatist leader Brahamdagh Bugti who is in exile since 2006. It has now been proven that RAW is the biggest supplier of arms and explosives to ISIS operating in Iraq and Syria, and it arranged a marriage of convenience between ISIS and Jamaat-e-Ahrar under Khalid Khurasani at Nangarhar to use this outfit against Afghan Taliban and Pakistan. In his bid to make India a Hindu state, space for Indian Muslims and other minorities is being shrunk though acts of terror. And yet Modi is cajoled and honored by the duplicitous US and the West in total disregard to norms of morality. While the US expressed its serious concern over the Uri attack on the night of Sept 28, which was again a false flag operation to divert the world attention from Indian atrocities in IOK, the US has ignored India’s purported surgical strike in AJK which was proudly owed by Indian military. Notwithstanding that it has now been proven to be phony to cover up its goof up in Uri in which 18 soldiers were burnt to death, what is astonishing is the US unconcern over this blatant violation of LoC, which in actuality was in the form of cross-fire on a military post resulting in martyrdom of two Pak soldiers and injury to 8. Pak military’s swift and precise counter action and public rising antipathy against India has forced India to climb down from the high horse and de-escalate tension. Modi’s unwarranted xenophobia and barbarism in IOK has gelled the nation. The US also didn’t utter a word when India indicated its intentions to revoke Indo-Pak Indus Basin Treaty signed in 1960 and next it sabotaged SAARC conference scheduled in Islamabad. After its aggressive posturing, the latest pressure mounted on Pakistan by the US in the aftermath of Uri incident on the night of 28 Sept is that either Pakistan should act firmly against HN, LeT and JeM, or else face isolation and sanctions. This threat is similar to the one, “Either you are with us or against us”. NS govt which still consider Pakistan to be a partner of USA is inclined to buckle down to curry its favor, but in the face of odds attempted to pass the buck onto the military by building an impression as if the Army is not prepared to proceed against the LeT and JeM. It is widely believed that the story published in Dawn newspaper as a result of a leak of the closed door national security meeting of top civil-military brass was at the behest of the govt to lower the image of outgoing COAS and to put Army on the back foot. As part of damage control, the writer Cyril has been put on Exit Control List till the completion of inquiry, but the Army has given a rejoinder that it had only desired to know that who from inside had leaked the fabricated story to the print media. This incident has once again given fodder to the band that has consistently been playing the tunes that civil-military relations are frayed. However, on October 10, the civil-military leaders have reaffirmed their resolve that military and intelligence agencies will continue to play a leading role in the fight against terrorism. Media has been cautioned to avoid speculative reporting on issues of national security. The political temperature will start rising after Imran Khan starts executing his plan to close down Islamabad on October 30. Disassociation of PPP and other political parties as well as Tahirul Qadri from his unwise suicidal plunge is a setback for the PTI, but Imran is still determined and considers it as a last opportunity to oust NS. While PPP under Bilawal is gearing up to win 2018 elections, the MQM divided into three factions is in dire strait. Sindh Assembly has passed a unanimous bill to declare Altaf Hussain a traitor. What is however unpalatable is Bilawal calling Altaf as his uncle and saying he is not a traitor? NS is faced with uncertain political conditions upped by Imran’s offensive, hawks within his party, media trial, Indian jingoism, Afghanistan’s hostility, threats to CPEC, looming isolation, and last but not least, Gen Raheel’s retirement due on November 29, whether to announce his replacement in this month, or grant extension to Gen Raheel in the wake of public demand. NS is playing cool as can be judged from his 3-day visit to Azerbaijan starting October 13. He is confident that he will tide over the coming challenges. India, USA, politicians and segment of media keep Pakistan perpetually in a state of predicament.